Rabbi Yisrael Lipkin of Salant said that all luxuries eventually become necessities, and this certainly has proven to be the case regarding air conditioning here in Israel. As all of us here in Israel can attest to, the intense heat of the past weeks has clearly announced to us that summer has arrived. The Mediterranean type of climate that Israel enjoys is balanced by its proximity to the desert areas that make up a large part of the landmass of the Middle East. We here in Jerusalem are spared the intense humidity and discomfort that visits the coastal areas of Israel during the summer. The weather in Israel is quite predictable and the absence of rain is a hallmark of the summer season. There can be a passing shower but rarely if ever is there a rainstorm of note from after Shavuot until Sukkot. We see from the Bible itself that the prophet Samuel used a rainstorm in the middle of the summer as a miracle to show the people the greatness of God’s guidance over the people of Israel and their land. Because of the regularity of the weather patterns here in Israel during the summer we hardly take notice of the day to day changes in temperature and even during periods of extreme heat we go on with our daily lives without notable disturbance to our schedules and tasks. We know that we live in a hot climate and so be it. We are told by our health practitioners to drink a great deal of water on a daily basis and to stay indoors as much as possible during heat waves. However, judging by the ever-increasing traffic on the streets of Jerusalem, both vehicular and pedestrian, it seems that a great many Jerusalem citizens have chosen to ignore the previous advice mentioned and go on with their lives as usual. There was a time just a few short decades ago when air-conditioning was a novelty in homes, stores and offices in Israel. And even when available it was not easily used because of the high price of electricity. All of this has naturally changed and today almost everything and everybody in the country has access to air-conditioning to relieve the rigors of living in a hot climate. Air-conditioning is one of the many luxuries of life that once a person experiences it, inevitably becomes a necessity. 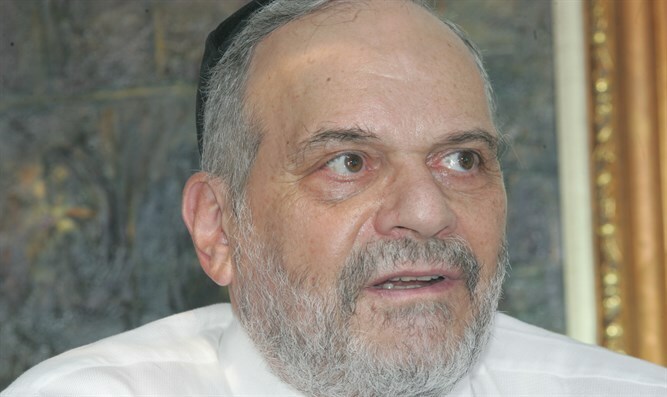 The famed Rabbi Yisrael Lipkin of Salant said that all luxuries eventually become necessities, and this certainly has proven to be the case regarding air conditioning here in Israel during our hot summers. I think that perhaps part of the reason why Israeli synagogues in general did not easily tolerate sermons from rabbis during the Shabbat morning services is that the room was so hot and stifling that to inflict another 20 minutes of having to remain there was considered cruel and unusual punishment. The reticence to allow for rabbinic sermons during the Shabbat morning services, which continues in today’s Israeli synagogues, only proves how beloved customs are to the Jewish people. Though circumstances changed and one could enjoy words of Torah in air-conditioned splendor, this ritual was maintained. Generally speaking, Israel has a healthy and balanced climate. It has moderate winters and hot summers and does not usually suffer from the vagaries of extreme temperature changes that exist in other parts of the world. We have a great deal of sunshine and the Lord blesses us annually with sufficient rainfall to allow us to continue and prosper. I remember the bitter winters of cold and snow that I experienced in Chicago and later in Monsey and I am amazed that I considered that type of weather normal then. But the severe weather in the northern part of the United States accounts and explains the continuing migration to southern and western states that have warmer winters and hot summers. Human beings are the most adaptable of creatures and have been able to live in every clime on our planet. I find it amazing that the Eskimos in Alaska have not yet picked up and moved to Florida. The rabbis, in their inimitable fashion, say that people find grace and goodness in the place that they live. Apparently, this applies even if the climate appears to be unacceptable to others who do not live there. The Lord provided air-conditioned comfort for the Jewish people during their 40-year stay in the desert of Sinai. However, this luxury disappeared when we entered the land of Israel and came to live as a natural people in a natural climate. So, even though today is quite warm, I am writing this article with the windows open and the air-conditioner closed because part of the joy of living in Israel is experiencing the hot summer.